Geodezja, geodezyjne pomiary szczegółowe i etyka zawodowa - wybrane teksty źródłowe z tłumaczeniem dla studentów, nauczycieli i wykonawców Autorzy książki: prof. Ryszard Hycner i mgr Marta Dobrowolska-Wesołowska (filolog angielski), na bazie starannego wyboru tekstów anglojęzycznych z dziedziny geodezji i kartografia, pochodzących ze sprawdzonych i znanych opracowań, modyfikując niekiedy nieznacznie teksty źródłowe (z zachowaniem praw autorskich), dokonali gruntownego przeglądu problemów geodezyjnych wyrażanych w języku angielskim. Dodatkowo zaś autorzy podręcznika wykonali tłumaczenie każdego oryginalnego tekstu, na język polski w tym celu, aby każdy z Czytelników mógł konfrontować swoją wiedzę zarówno z dziedziny geodezji i kartografii jak też z języka angielskiego. 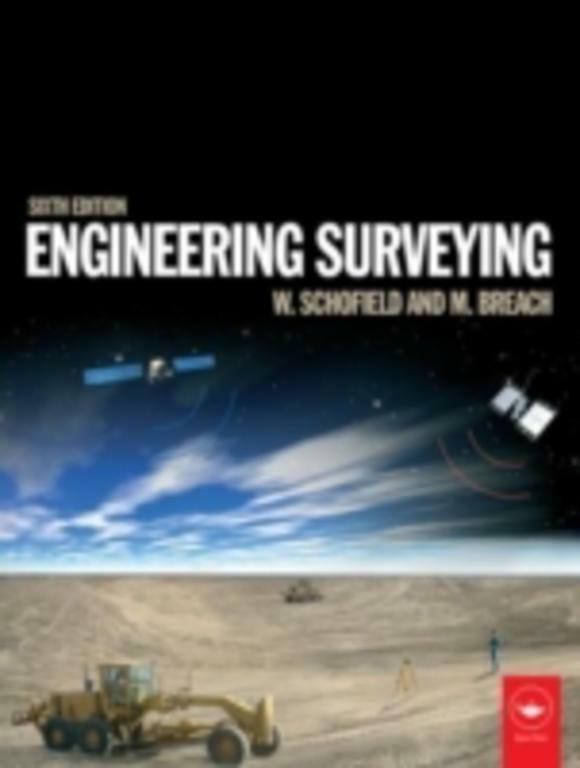 For Surveying courses offered in Civil Engineering departments This highly readable, best-selling text presents basic concepts and practical material in each of the areas fundamental to modern surveying (geomatics) practice. Its depth and breadth are ideal for self-study. 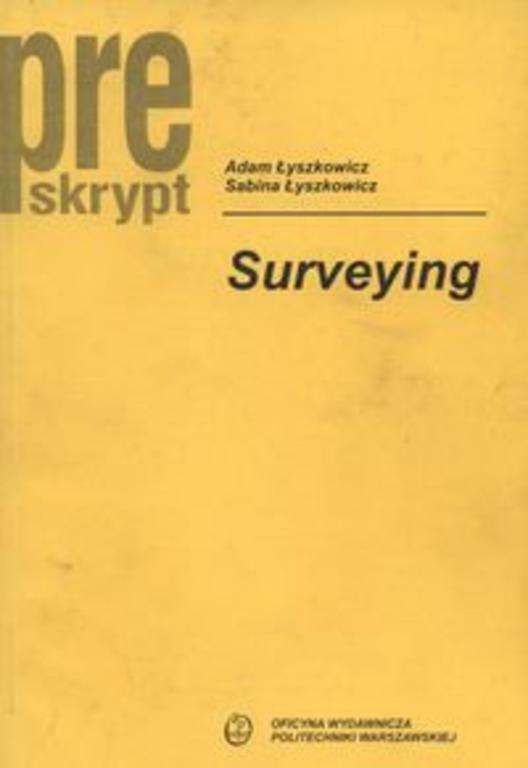 Elementary Surveying, Fourteenth Edition, is updated throughout to reflect the latest advances and technology. Teaching and Learning Experience This program will provide a better teaching and learning experience-for you and your students. It will help: *Emphasize the Theory of Errors in Surveying Work: Common errors and mistakes are listed to remind students to exercise caution in their work. *Use Strong Pedagogy Tools to Teach: Numerous worked example problems, figures, illustrations, and end-of-chapter problems help students apply concepts. *Reflect the Latest Advances in Technology: To keep your course current and relevant, this edition covers the latest advancements in surveying technology. The measurement of building elements is a core subject for quantity surveying students. Responding to the recently published second volume of the New Rules of Measurement (NRM2) by the Royal Institution of Chartered Surveyors, the 12th edition of Willis' Elements of Quantity Surveying explains, from first principles and to NRM2 standards, the measurement process for all the key building elements. This edition begins with an overview of the need for measurement and the differing rules governing measurement at different stages of the design or project cycle. As in previous editions the focus remains the detailed measurement of building elements, but the text has been fully revised in line with the NRM2 rules. A range of new and revised examples illustrating the use of NRM2 rules are a key feature of the book, which concludes with guidance on how to use the data collected during the measurement process to create the tender documents.In the 12th edition the hallmarks of previous editions - clarity and practicality - have been maintained while ensuring the book is fully up to date, providing the student of quantity surveying with a first class introduction to the measurement of building elements. 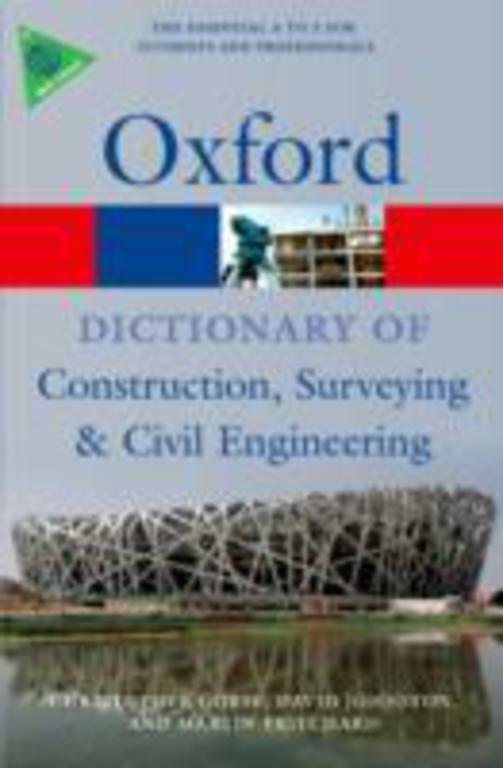 Christopher Gorse, Dr. David Johnston and Dr. Martin PritchardSeries : Oxford Paperback ReferenceThe latest addition to the Oxford Paperback Reference series, this A to Z is the most up-to-date dictionary of building, surveying, and civil engineering terms and definitions available.Written by an experienced team of experts in the respective fields, it covers in over 9,800 entries the key areas of construction technology and practice, civil and construction engineering, construction management techniques and processes, and legal aspects such as contracts and procurement. Illustrations complement entries where necessary and other extra features include a bibliography, appendices providing a list of commonly used conventions, formulae, and symbols, as well as entry-level web links, which are listed and regularly updated on a companion website.Its wide coverage makes it the ideal reference for students of construction and related areas, as well as for professionals in the field.Readership : Students of construction, civil engineering, surveying, and ancillary subjects, and professionals in these respective areas. Pomysł napisania reskryptu ?Surveying? z podstaw geodezji wypłynął z potrzeby wsparcia anglojęzycznych kursów z geodezji, jakie ostatnio są organizowane w wielu szkłach wyższych w Polsce. Reskrypt dostarcza wystarczające wiadomości niezbędne w geodezji i inżynierii lądowej. Obejmuje pomiary liniowe, niwelację, pomiary kątów, podstawowe obliczenia geodezyjne, pomiary topograficzne i pomiary trasy. Preskrypt daje również przegląd niektórych zaawansowanych technik geodezyjnych, takich jak elektroniczny pomiar odległości, globalny system pozycjonowania (GPS), fotogrametria lotnicza, teledetekcja i GIS. Preskrypt został napisany w taki sposób, że może służyć jako podstawowe źródło wiedzy dla studentów geodezji, inżynierii lądowej, geofizyki i kartografii. There continues to be a blending of civil engineering and building courses and practioner activities, and the emergence of the Association of Building Engineers is evidence of this overlap. 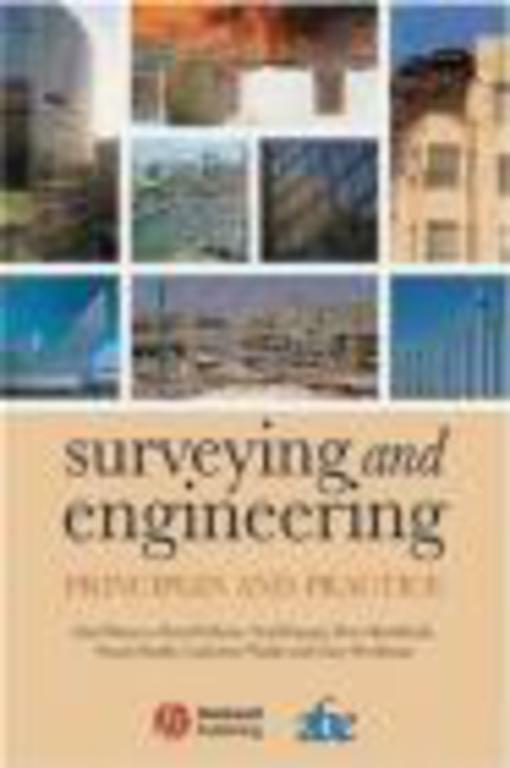 However, while there are many texts on individual subjects related to surveying and engineering, there is no book that brings the key subjects together in a holistic manner. This new book brings together a key range of topics, including health and safety, building control, building appraisal and management, fire safety, construction management and sustainability to provide a practical handbook that will appeal both to the advance student and to the practitioner needing a quick, practical overview of each topic. Support material in the form of case study examples and self-assessment exercises for students will be available on an associated website. The book is supported by the Association of Building Engineers. Provides the respective contribution of downhole logging techniques and borehole seismic surveying resulting in improved understanding of reservoirs. This is a reference for surveying all types of small craft. It has been revised, expanded and brought up to date, and is designed to assist professional surveyors and owners contemplating buying a secondhand boat to spot important features. This edition has expanded the sections on fibreglass craft, steel, aluminium and wood construction, incorporating up-to-date techniques, and includes new chapters on power craft, outboard boats, engines and electrics.